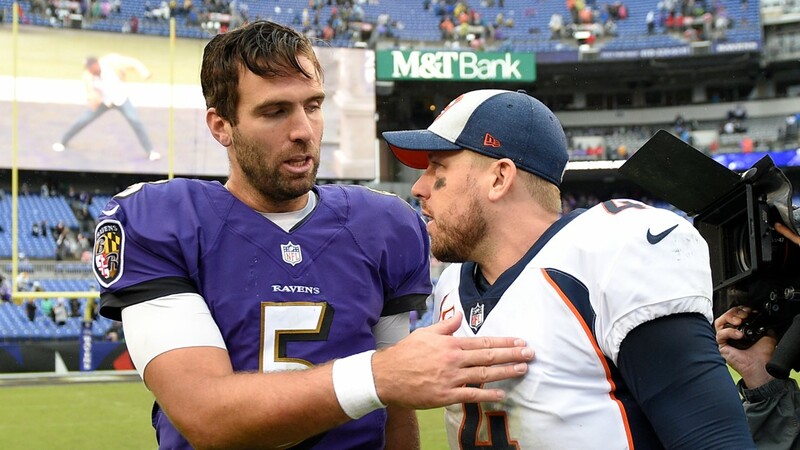 Baltimore Ravens quarterback Joe Flacco, left, speaks with Denver Broncos quarterback Case Keenum after an NFL football game, Sunday, Sept. 23, 2018, in Baltimore. Elway informed Case Keenum of trade before the deal hit the media. Keenum expected to move on, but longshot chance he stays as No. 2 with pay cut. KUSA – The Denver Broncos have acquired quarterback Joe Flacco from the Baltimore Ravens, a source confirmed to 9NEWS. Case Keenum is out as the Broncos’ starting quarterback. Broncos general manager John Elway did call Keenum to tell him about the Flacco acquisition before the trade hit the media. The team is expected to either trade or release him. There is an outside chance he stays as a backup, but that involves Keenum agreeing to take a pay cut from his $18 million salary, sources told 9NEWS. Adam Schefter of ESPN first reported the trade. 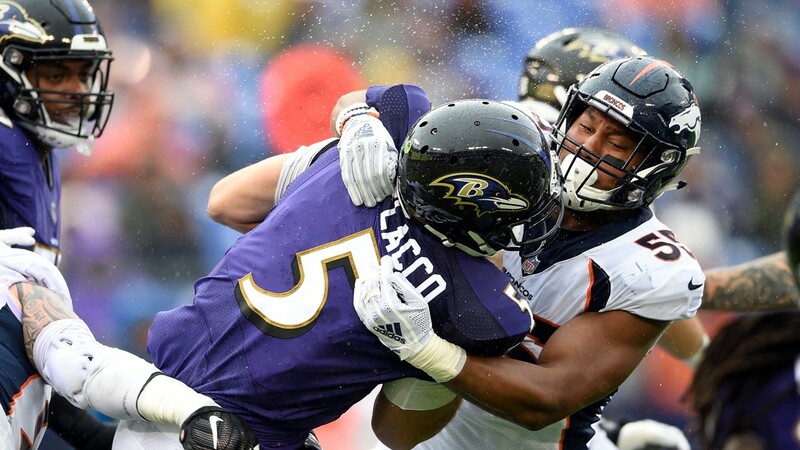 A source told 9NEWS the Flacco trade will be in exchange for the first of the Broncos’ two fourth-round draft picks in 2019. Before compensatory picks are awarded, the Broncos currently have the 11th pick in the fourth round and the No. 23 overall pick in the fourth round, which they acquired midway through the 2018 season from Houston in a deal for receiver Demaryius Thomas. The Broncos' own fourth-round pick will go to Baltimore, sources tell 9NEWS. The Broncos were 5-11 and 6-10 the past two seasons, so more work needs to be done. But already Elway has addressed the two most critical positions on his team: Head coach and quarterback. Vic Fangio-Joe Flacco vs. Vance Joseph-Case Keenum. 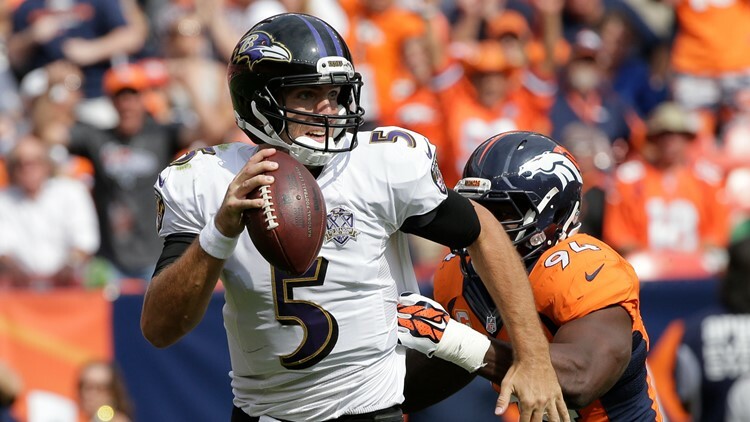 On paper at least, the Broncos appear improved on where they were just six weeks ago. 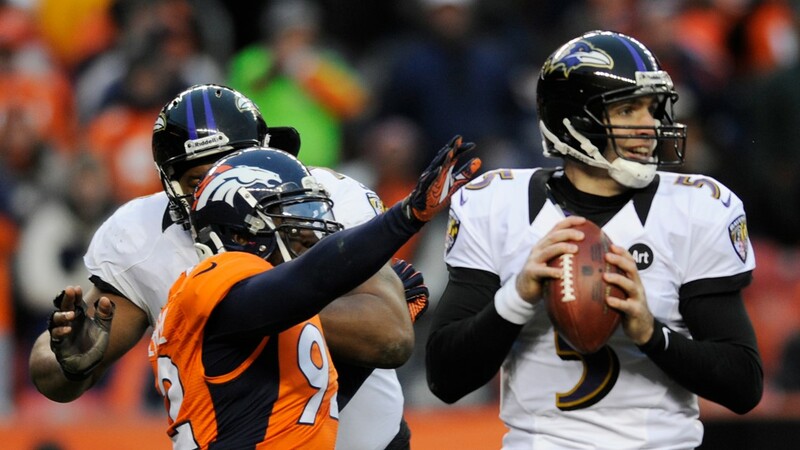 The Broncos well know about Flacco’s fantastic exploits in the 2012 postseason. 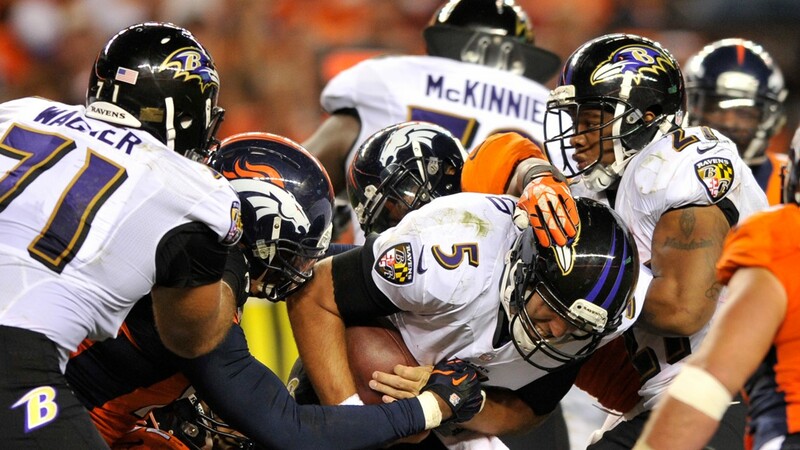 His 70-yard heave to Jacoby Jones, who got past a stumbling safety Rahim Moore, with 31 seconds remaining tied the No. 1-seeded Broncos, 35-35 in a second-round AFC playoff game played in frigid conditions at Mile High Stadium. 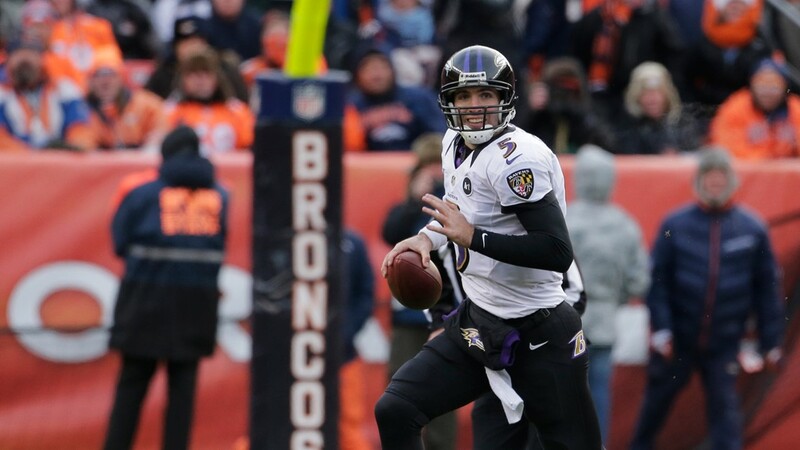 The Ravens won the game, 38-35 in double overtime and Flacco went on to become the MVP of Super Bowl SLVII. Check this out: In the Broncos' 60-year history, they have won just three road playoff games (The Drive to cap the 1986 season and against Kansas City and Pittsburgh in 1997). 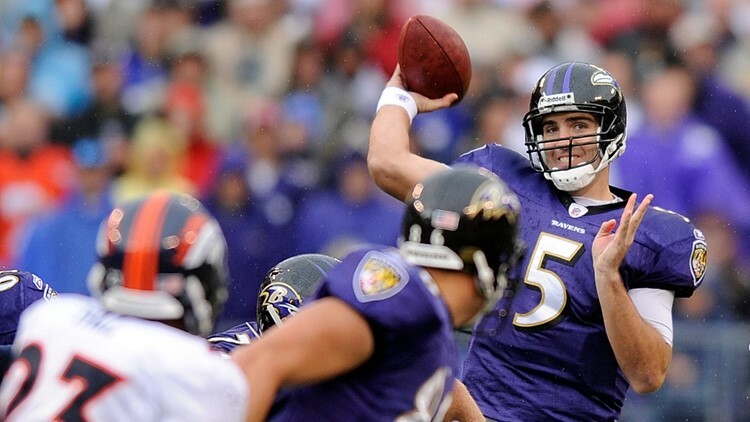 Flacco has seven road playoff wins in his 11-year career. 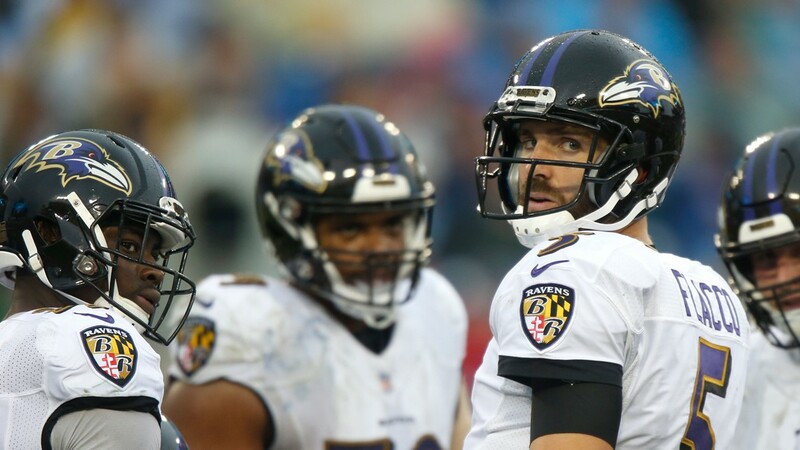 After Flacco's terrific 2012 postseason in which he threw 11 touchdown passes against 0 interceptions, he became the NFL’s highest-paid player with a six-year, $120.6 million contract extension that included $30 million in 2013, his first season of the deal. Flacco has mostly struggled since then, though, with the exception of the 2014 season when he had Gary Kubiak as his offensive coordinator. 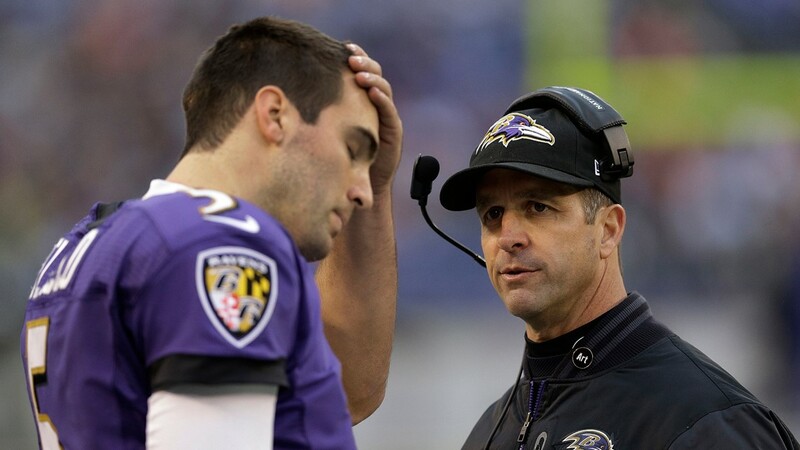 Flacco went 10-6 that season and won a playoff game, while throwing 27 touchdown passes against 12 interceptions. The Broncos’ new offensive coordinator Rich Scangarello runs the same type of system as Kubiak, which is why Elway set his sights on Flacco. 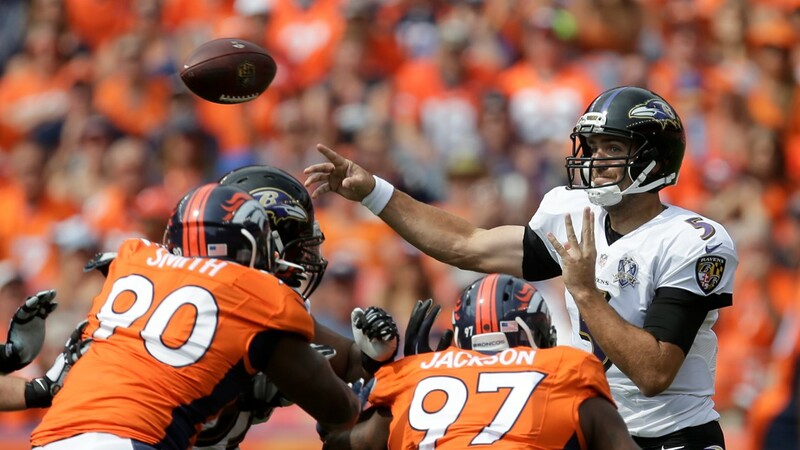 Although Flacco is now one of the NFL’s older starting quarterbacks, he has played all 16 games in a season in nine of his 11 years. Sources told 9News the Broncos also discussed the possibility of Philadelphia's Nick Foles, who was also available for trade, but Elway and the team deemed Flacco a better fit for a couple of reasons. One, Flacco has played extensively under center while Foles was mostly a shotgun-spread QB when he finished strong each of the past two seasons with the Eagles. In the Scangarello West Coast-type offense, the Broncos' center will play from under center plenty. And two, Flacco was considered a better financial value than Foles, who is expected to command north of $25 million a year. 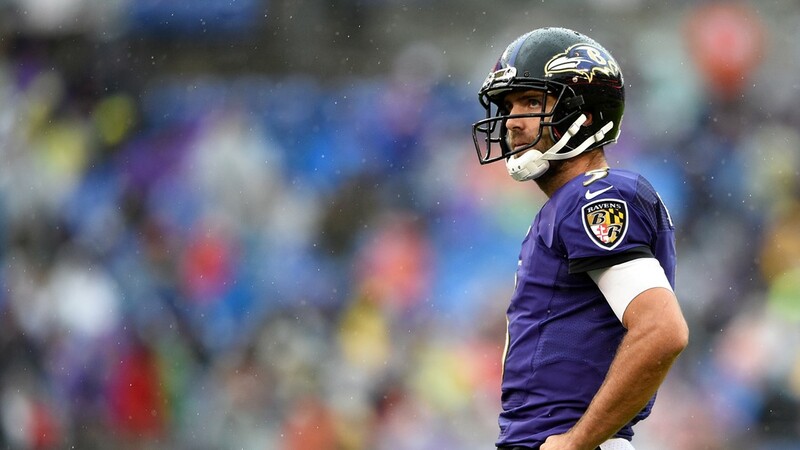 Flacco will make $18.5 million in 2019 – which makes him the NFL’s 10th-highest paid quarterback in cash payout, a ranking that figures to drop to around 16th after Foles and the first-round rookie draft class sign their new deals. Flacco is also scheduled to make $20.25 million in 2019 and $24.25 million in 2020. The contract will not be revised. 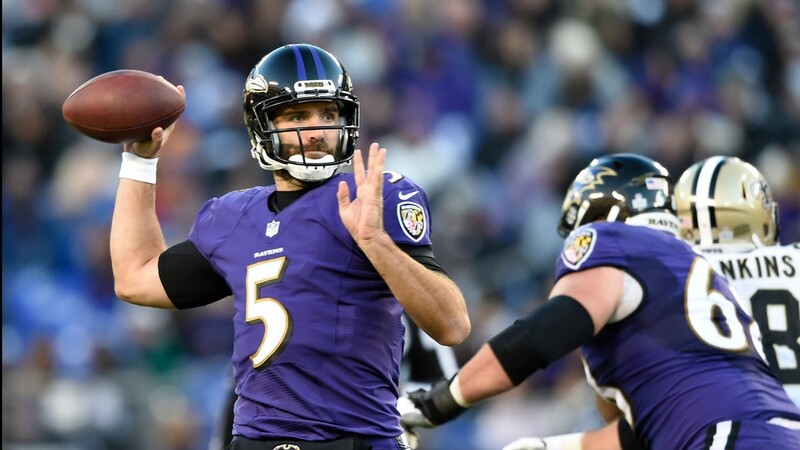 Given the soaring QB market, Flacco's deal is team-friendly. And he's even more team friendly in cap dollars. 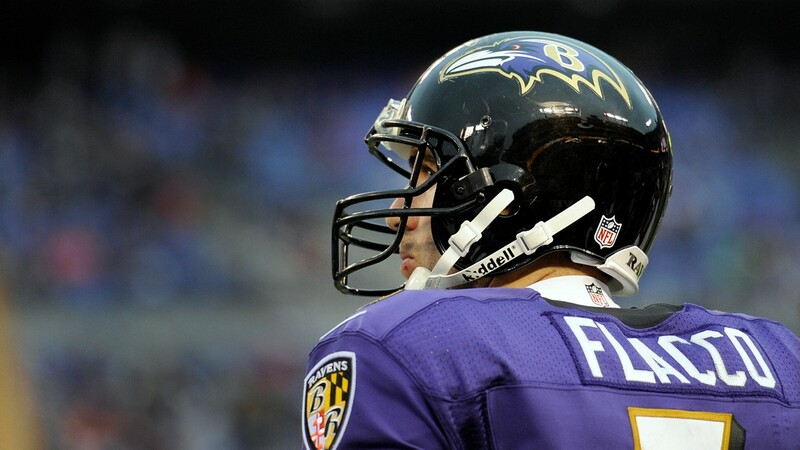 Flacco's $18.5 million cap figure ranks 21st in the league. Keenum is tied with Blake Bortles for 15th with a $21 million cap figure. Miami's Ryan Tannehill is sixth with a $26.6 million cap hit in 2019. Keenum? The Broncos have three options. The most logical is trade him and his $18 million salary, of which $7 million is fully guaranteed. Or the Broncos can keep him as a backup, although they would have to get an agreement on a reduced salary – which isn’t likely. Or the Broncos can release him and eat his $7 million guarantee – although probably not that much. There is offset language in Keenum's contract, meaning if he is, say, released and signs a one-year, $5 million deal with another team, the Broncos would only have to pay him $2 million. 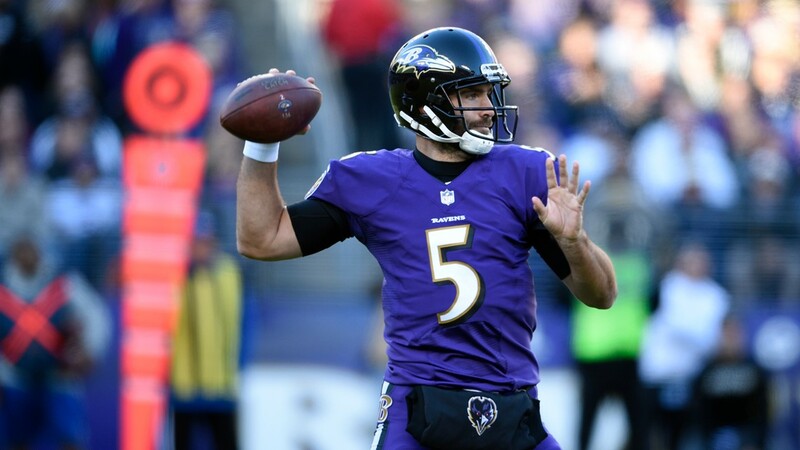 Baltimore Ravens quarterback Joe Flacco (5) throws to a receiver in the first half of an NFL football game against the Pittsburgh Steelers, Sunday, Nov. 4, 2018, in Baltimore. 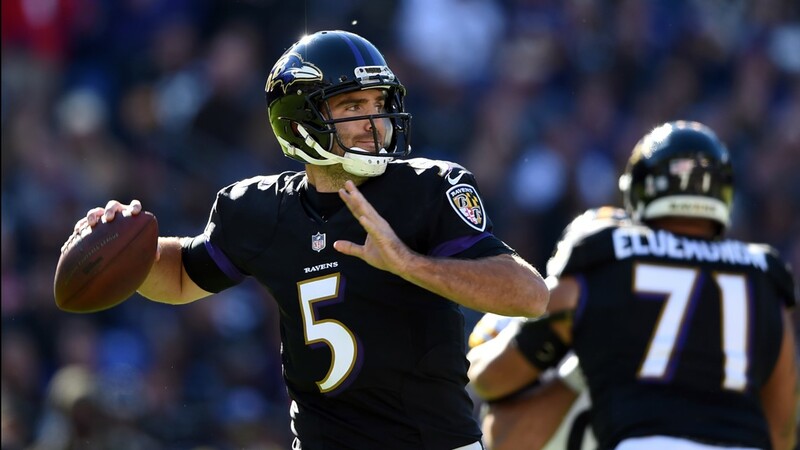 Baltimore Ravens quarterback Joe Flacco (5) throws to a receiver in the second half of an NFL football game against the New Orleans Saints, Sunday, Oct. 21, 2018, in Baltimore.